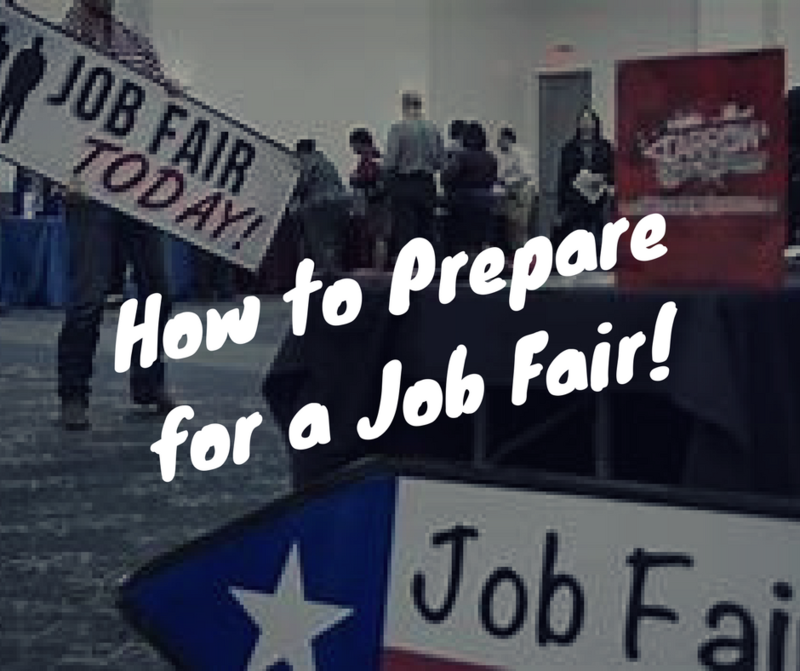 Let’s look at some Tips to Prepare for a Job Fair. You are looking for a job and you hear about a job fair – what even is a job fair and can I really find a job there? It can be intimidating – navigating numerous employers amid hundreds of other people. Want to stand out? Well for starters, recruiters don’t like it when someone asks, “What jobs do you have open?” This shows you did not take the time to prepare, so use these tips to help you stand out from the crowd and make the most of your career fair experience. 1) Dress appropriately – You should dress on the conservative side to impress your future employers. This is not a time to wear jeans or casual clothes. 2) Research the Who, What, When, Where and Why’s – Look at the list of employers attending the job fair and pick your top 5-10 to visit while at the fair. Then learn more about the employer’s opportunities and think about how your skills fit with their needs. This will help you maximize your time there and will help you stand out when you speak with the companies at the fair. 3) Know what to bring & what to say – Bring your printed resume (enough copies for all the companies you want to see) neatly in a folder or portfolio. Make sure your contact information is on the resume. There was one candidate who pulled a crinkled resume out of her shirt pocket. That’s a bad start. It’s not enough to have your resume. You also need an elevator pitch. It can be intimidating to pitch yourself to a stranger and list the reasons you think they should hire you, not to mention doing so while 20 other candidates are standing behind you, listening and waiting for their turn. When talking to the recruiter, be knowledgeable about the position you’re applying for and how your experience relates to them. Also, smile and be confident! 4) Be sure to follow-up! Within 24 hours of the fair, be sure to send a follow-up email, with your resume attached, re-emphasizing your interest in the position. Good luck and for additional tips or help with your resume, feel free to reach out to the team at SharpLink Staffing. We would love to help you find your next job.